Hospitals are faced with the need to translate medical documents for patient information daily. With translation software you can speed up the translation process and offer patients documentation in their native language. For over 40 years Systran has been the leader in the development of translation technology and delivers the most comprehensive translation software available on the market. Systran offers you translation in over 52 language pair combinations including; Spanish, French, German, Portuguese, Italian, Swedish, Dutch, Russian, Japanese, Korean, Traditional Chinese and Simplified Chinese. Systran's powerful translation software gives you an intuitive interface and advanced translation tools that allow to increase the accuracy of your translations and train the software to use your terminology. Hospitals looking for medical translation for documents will need the advanced Systran Professional Premium version in order to use advanced features including the additional Medical Dictionary (included) and powerful "Translation Memory" tools. These tools and dictionaries will allow you to increase the accuracy of the translations as you use the software. 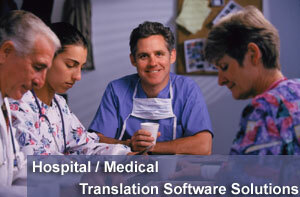 Translating medical related documents for hospitals requires an additional level of expertise. A translator or language specialist must understand the medical terminology completely in order to accurately translate documents. Another challenge that hospitals face is staying compliant with privacy laws. Protecting a patient's information is paramount. Critical health related documents must be secure within the hospital's network. The health care industry requires large volumes of information that needs translating daily, the sheer volume can be overwhelming and costly. Why spend time translating the same information over and over? Many of the documents contain a lot of repetitive information. For example, many documents given to patients is often a template that is reused over and over and many of these instruction forms contain a lot of the same information with only specific instructions changing dependent upon the treatment being administered or part of the body. 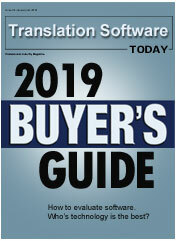 Translation software can save hospitals thousands of dollars by utilizing software to not only automate process but also keep the translations consistent. Medical documents are critical and therefore will still require human to proof the documents but when using translation software in conjunction with the human translator, you can increase the translator's productivity. 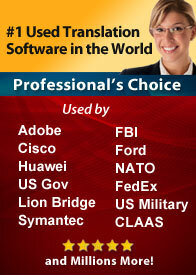 Best of all software, is always secure and keeps you in compliant with privacy laws. We specialize in helping the medical industry handle the large task of translating technical information while saving money on traditional translation services. Free Live Demo - See the software in action with one of our live demonstrations. Click here to schedule the demo.